And Mr. Corbeil worries that the lawsuit will do little. "How can 23 small businesses in Canada fight in court against a company that makes $7 billion a year? It's very frustrating from my end." 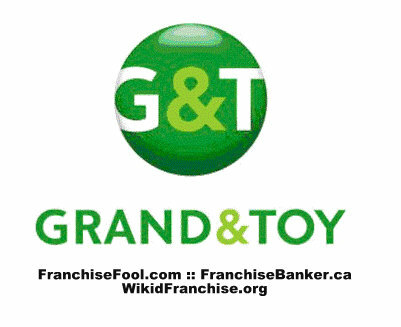 After five years of fending off a big-box competitor and still managing to drive revenues up by more than 100 per cent, George Corbeil will be ushered out the door of his east-end Grand & Toy store at the end of next month. "I took this store from $960,000 in sales to over $2 million in sales (annually)," Mr. Corbeil said. "We are out Dec. 31." Mr. Corbeil, who operates a store in the St. Laurent Shopping Centre, is one of 23 Grand & Toy licensee operators, including five in Ottawa, who are named as plaintiffs in a lawsuit against the office supply giant. Grand & Toy intends to turn the 23 stores into corporate stores in the new year. The licensees, who have already launched a multimillion-dollar lawsuit, are taking their battle to Queen's Park, lobbying MPPs to amend Ontario's franchise legislation to include arbitration in circumstances such as this. 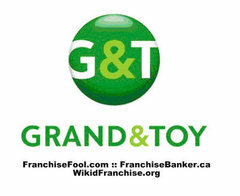 The licensees say Grand & Toy Ltd. is trying to take back franchises that were licensed to independent operators in the mid-1990s, when the stores were suffering from slumping sales. At that time, the operators who wanted to take control of a store were asked to pay as much as $5,000 in administration fees and between $80,000 and $150,000 for existing inventory. The operators contend they have been running their stores as franchises and paying Grand & Toy royalties in the form of ongoing operating fees, which are a percentage of the stores sales. Grand & Toy argues the stores are not valid franchises and says the licensees were given ample warning their agreements would expire. "We gave them six months' lead time to tell them these are expiring," Brian Ward, Grand & Toy's vice-president of retail, said. He said the original licensee process is no longer working for either Grand & Toy or the licensees. Sales at corporate stores have been overtaking those of licensee-operated stores, and it was hard to find new licensees to enter the program, he said. Compared with other franchise agreements, the licensee agreement called for little investment on behalf of the store operators, Mr. Ward said. When Grand & Toy takes possession of the stores, it will buy back inventory. Almost all existing employees have been hired to work at the corporate stores, he said, though they and the licensees, have to apply. Thus, he argues, the company is under no legal obligation to renew licence agreements or pay compensation. "I just doubled their sales and tripled their profits. Why am I applying for a job?" Mr. Corbeil asked. The licensees want $24 million in damages and $5 million in punitive damages. Marc Prieur, operator of Grand & Toy at Place D'Orléans, entered into his operator contract with Grand & Toy in 1995 because he feared he would lose his job as manager if he didn't, he said. "I felt my job was potentially at risk if I didn't buy the store." Mr. Prieur said he just wants sufficient compensation for the work he and his colleagues have put into their stores. The lobbying effort has had little response from the provincial government. Only Sault Ste. Marie NDP MPP Tony Martin has backed the licensees' cause. And Mr. Corbeil worries that the lawsuit will do little. "How can 23 small businesses in Canada fight in court against a company that makes $7 billion a year? It's very frustrating from my end."